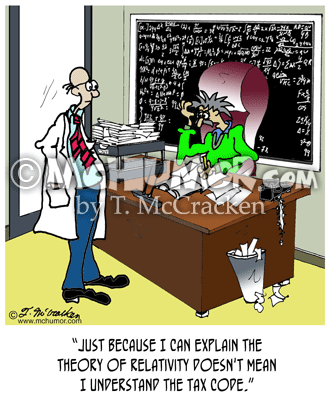 Tax Cartoon 8268: Einstein fumbling with forms says to someone, "Just because I can explain the theory of relativity doesn't mean I understand the tax code." 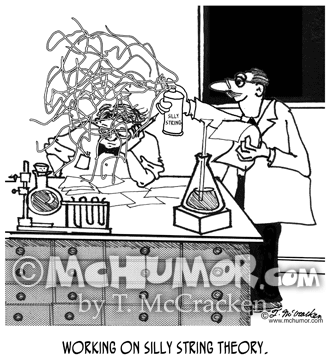 Science Cartoon 8797: "Working On Silly String Theory" A researcher in a lab sprays Silly String on another one. 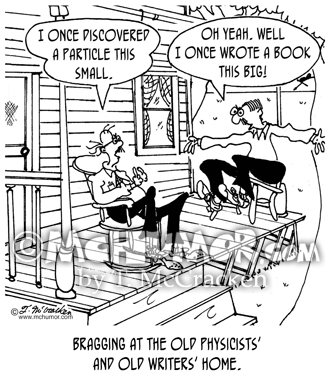 Physics Cartoon 7513: A man with a clipboard stands in an lab where stuff flies everywhere. 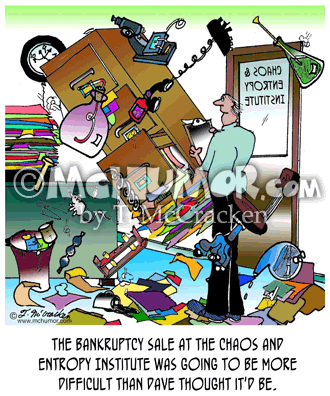 “The bankruptcy sale at the Chaos & Entropy Institute was going to be more difficult than Dave thought it'd be." 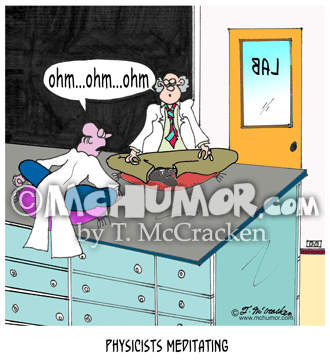 Physics Cartoon 6043: "Confusion in A Jar." 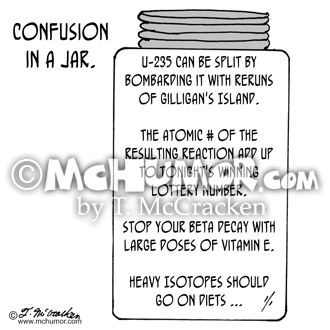 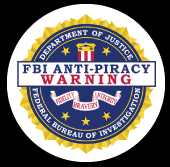 A jar label says: "U-235 can be split by bombarding it with reruns of Gilligan's Island. 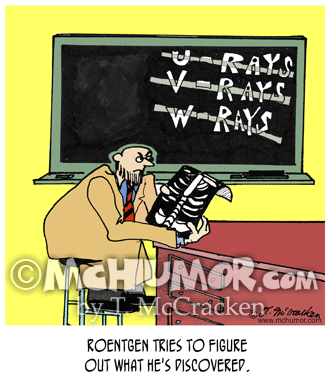 The atomic # of the resulting reaction add up to tonight's winning lottery number. 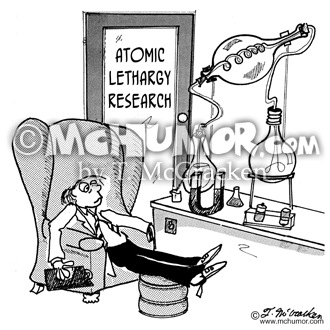 Stop your Beta Decay with large doses of Vitamin E. Heavy Isotopes should go on diets ... "
Factory Cartoon 8554: "Life at the Nano Technology Factory." 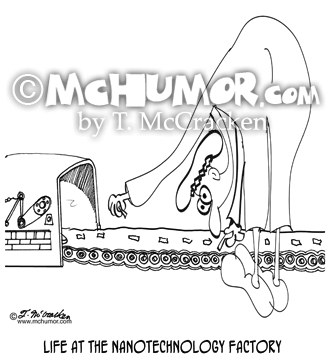 A factory worker bends over a very low assembly line. 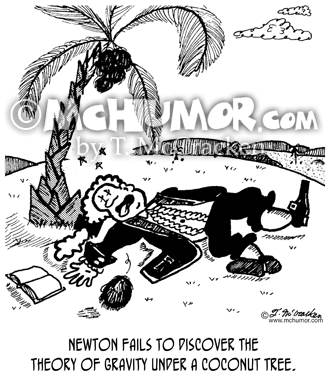 Gravity Cartoon 2006: "Newton fails to discover the Theory of Gravity under a coconut tree." 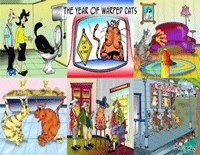 A coconut knocks Newton unconscious.